This program, created by the Arkansas Private Wetland Riparian Zone Creation and Restoration Incentive Act of 1995, allows a credit against the tax imposed by the Arkansas Income Tax Act for any taxpayer engaged in the development or restoration of wetlands and riparian zones. In 2009, the Legislature included conservation credits within this program for persons donating wetland and riparian zone qualified real property interests to eligible donees. The program is designed to encourage private landowners to restore and enhance existing wetlands and riparian zones, and when possible, create new wetlands and riparian zones because the state continues to experience significant loss of wetlands, and because most land suitable for wetlands are privately owned. This program benefits the landowners through tax credits and the state by increasing wetlands and riparian zones, which provide flood control, water quality enhancement, fish and wildlife habitat, recreation and ground water recharge. Who is responsible for administering the program and carrying out the rules? 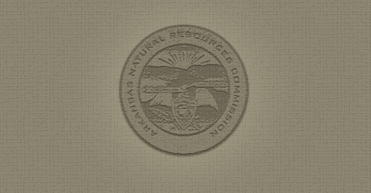 The Executive Director of the Arkansas Natural Resources Commission administers the Wetland/Riparian/Conservation Tax Credit Program in consultation with the Private Wetlands and Riparian Zone Creation, Restoration, and Conservation Committee. Yes, the fee for enrollment is three percent (3%) of the total approved tax credit (minimum of $100 and maximum of $1,500) to be paid to the commission by the landowner when the application is filed. If a project is rejected the full application fee will be refunded. When can tax credits be applied? The tax credit provided under the act may be applied to taxable years beginning on or after January 1, 1996 and all taxable years thereafter. Conservation tax credits may be applied to taxable years beginning January 1, 2009. Are there any restrictions to collecting tax credit in this program? Yes, taxpayers claiming a tax credit under this act may not claim a credit under the Water Resources Conservation and Development Incentives Act of 985, or any similar act for any costs related to the same project. Any portion of a project that is a mitigation activity required under state or federal law if not eligible for tax credits. Tax credits issued to partnerships or other corporate entities may pass through to their members, managers, partners, shareholders and/or other beneficiaries, but are not transferable to other individuals or entities. How much credit may a taxpayer use? The amount of credit that may be used for a taxable year may not exceed the lesser of the amount of individual or corporate income tax otherwise due or five thousand dollars ($5,000) per taxpayer. Applicants can apply for conservation credits equivalent to fifty percent of the fair market value of donated property. Any unused credit may be carried over for nine years after the year the credit originated for a total tax credit of $50,000 per project and property donation. Are there specific requirements related to project development and operation? Yes. General requirements specify that projects must be completed, and functioning in three years, and maintained for a minimum of ten years after certified as being complete. Taxpayers must maintain records, provide notification of project completion/maintenance, etc. Specific criteria indicate what costs are eligible for credit, such as procurement of professional services required for project development and maintenance, and for activities that are considered creation, restoration or improvement are eligible for tax credit. Criteria detail activities in Riparian Zones and Wetlands, and include such things as site preparation, establishment of permanent vegetative cover, construction of exclosures, bank stabilization end erosion control, construction of berms, water control structures, and other activities. Are there any design standards requirements? Yes. Project activities have to meet or exceed the standards established in the program rules and regulations, and structural aspects of the project must be reviewed by a professional engineer prior to filing an application. General standards, such as minimizing soil erosion and water degradation during construction, utilization of Best Management Practices, and complying with all applicable federal, state and local laws have been established for all projects. In addition to the general standards required for all projects, standards specific to projects in riparian zones and wetlands have been established. What happens if the taxpayer fails to complete installation? If the taxpayer fails to complete the project as a result of conditions beyond his control, the project may be extended for one year. All credits received must be repaid if the taxpayer fails to complete the project within the specified period under any other circumstances. Additionally, the project will no longer be authorized for tax credit purposes and further credits will not be allowed. Other conditions may apply for projects terminated prior to expiration of minimum life of the project, projects determined to have been terminated without receipt of written notice, or upon sale of the real estate involved in the project. Any failure of the taxpayer to comply with the filing and required repayment of taxes will result in an assessment by the Department according to the Tax Procedures Act.